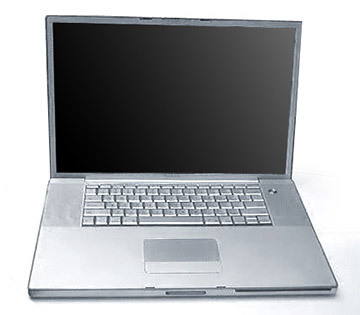 The model PowerBook G4 1.5 15" (Aluminum) gets it's power from a 1.5GHz PowerPC 7447a "G4" processor with "Velocity Engine" vector processing and 512k level 2 cache, 512MB of DDR-333 (PC2700) SDRAM installed as a pair of 256MB SODIMMs, an 80GB Ultra ATA/100 4200 RPM hard drive, a slot-loading 4X DVD-R/CD-RW "SuperDrive", ambient light sensor keyboard along with an ATI Mobility Radeon 9700 4X AGP graphics processor sporting 128MB of onboard VRAM driving a 1280x854 15" widescreen display. 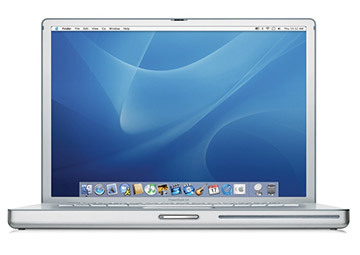 Ports and connectivity include 1 Firewire 400, 1 800 port plus built-in Bluetooth 1.1, AirPort Extreme (802.11g). BTO "Build to Order" variants were also offered. 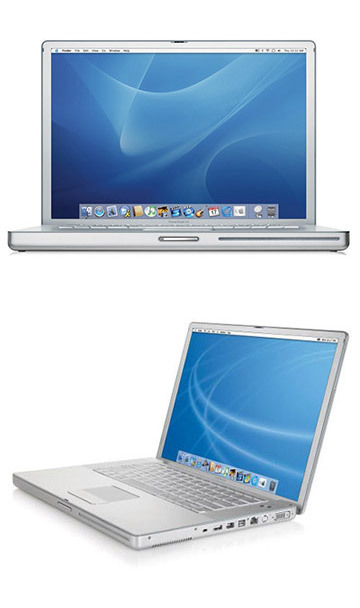 Form Factor PowerBook G4 15"